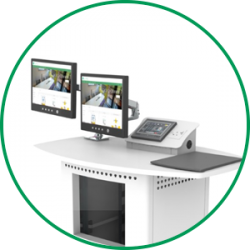 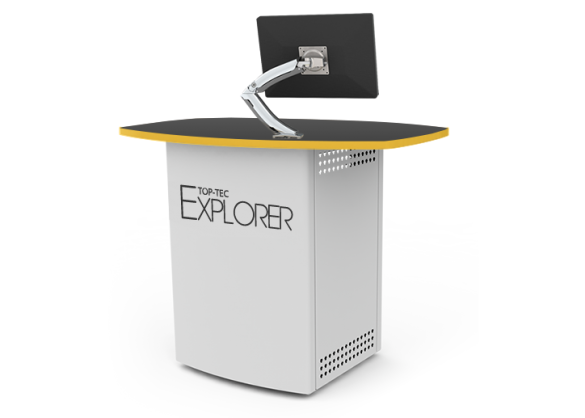 Available in a single or double unit, EXPLORER is a multimedia lectern focused on small to medium presentation spaces. 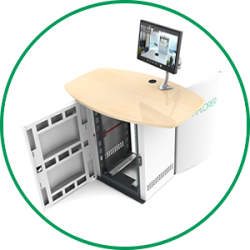 Utilising our innovative 16U rack design, which secures both rack and non-rack mounted equipment, EXPLORER is supplied with a flexible monitor arm and concealed castors. 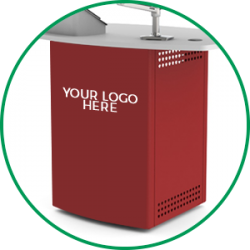 EXPLORER range can be supplied with either standard steal side panels or feature wooden side panels as pictured above.